The Quantrix Partner Program helps create rich solutions and services for a broad range of applications and markets. Quantrix works with partners to bring even greater value to customers through solutions that address specific business and modeling needs. Partnering with Quantrix can provide a competitive advantage as our customers represent the top financial and quantitative modeling professionals for many of the world’s leading companies and institutions. Our Partners extend the reach of Quantrix to provide localized product and support to customers in over 50 countries. Many of our partners have consultants with strong industry domain knowledge who can employ Quantrix Modeler to deliver value-added professional services. To learn how to become a Quantrix Partner, please contact us at sales@quantrix.com. Business Pro is a business consultancy and software reseller that serves the Mexican and Latin American market. The company was founded by Armando Gonzalez, who has many years consulting and implementing forecasting and demand planning solutions. He also lectures on statistical forecasting and planning. Power Market Consulting, Inc. Power Market Consulting, Inc. (PCMI) provides regulatory and business systems consulting services in the wholesale electric power market. Based in Irvine, CA, the company has extensive experience in the development and implementation of energy settlement systems with transaction values in multi-billions of dollars. Established in 1996, BME delivers business intelligence and planning software solutions that improve decision making, save time and adapt quickly to changes in your environment. BME specialise in solutions that require minimal user training and can be delivered and deployed within days, not months. Smart Modeling Solutions provides high-quality Quantrix training and model-building services. Located in the heart of Europe – Vienna, Austria, they offer services in 5 languages: English, German, Russian, Bulgarian and Turkish. With company proven track records of successful implementations you can be confident that your plans, forecast, budgets, economic evaluations, etc. will be created quickly and efficiently. 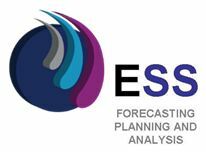 Essla International is a leading regional implementation and consulting services group. Founded by finance and IT professionals, Essla specializes in multi-dimensional finance, with a successful record of applying avant-garde methodologies in value creation, financial modeling, consolidation, profitability and cost analysis. Essla markets products and services mostly in North, South and Central America and the Caribbean. Celsoft Corporation, is Africa’s leading financial modeling services company based in Southern Africa with experience in financial modeling, training and model development consultancy services. We transform the efficiency and effectiveness of African professionals with cutting-edge financial modeling skills as well as robust and dynamic financial models strictly designed with Quantrix Modeler. We focus on management accounts, budgeting and forecasting, reconciliations, data analysis and many more. SIA Scandic Fusion is fast growing IT company specializing in Business Intelligence solutions and IT consulting and business analysis. Scandic Fusion operates in Latvian, Baltic and Scandinavian markets. We help our customers to make intelligent and right business decisions to maximize return on investment.